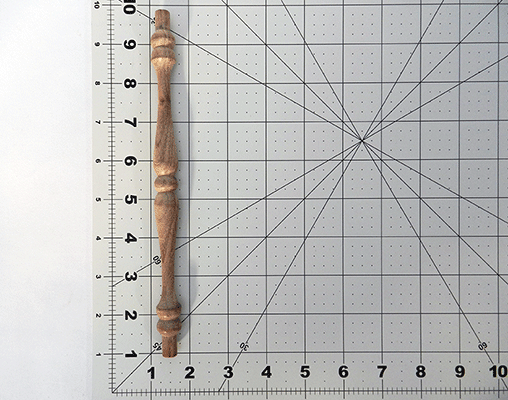 Walnut Spindles 9" by 5/8"
Purchased these for a baby cradle I was making for my daughter. Was worried that they would not quite stain the same as the walnut wood I was using, but I was wrong. 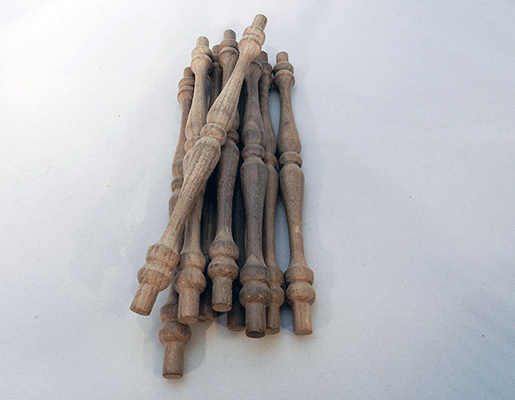 They worked out perfectly and matched as if I turned the spindles from the same wood I used for the cradle! Can bet I will be ordering from this site again! Awesome quality and stains perfectly. Used them on a baby cradle and it matched the walnut on the rest of the project no problem.